See more objects with the color darkslategrey peru dimgrey sienna darkgrey or see all the colors for this object. 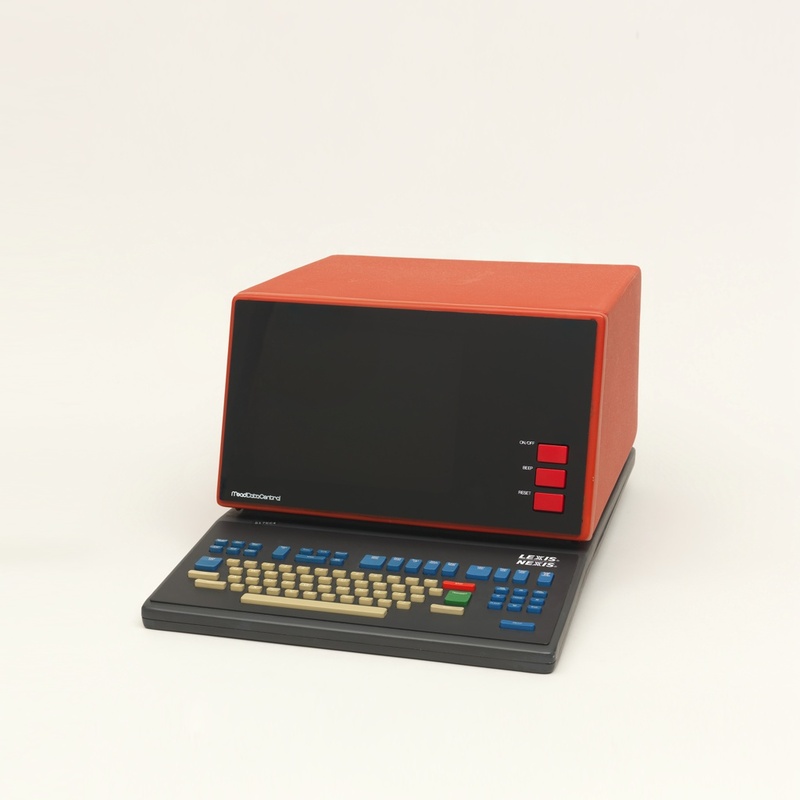 This is a Computer terminal. It was designed by Daniel J. Lewis, George Nelson & Associates and engineered by Robert MacConnell, Lexis-Nexis and manufactured by Mead Data Central and made for Lexis-Nexis. We acquired it in 1997. Its medium is zinc alloy, polyurethane paint, plastic, electronic components. It is a part of the Product Design and Decorative Arts department. This object was donated by Lexis-Nexis. It is credited Gift of Lexis-Nexis.